Xiaomi is slowly gaining more credibility. It has proved to be a hit amongst the masses. The quality of Xiaomi phones is great compared to the price. Even a novice can see how technically good these phones are. Apple phones are built with a lot of focus on construction, software, and refinement of materials. Android phones have also proved to be a huge success. 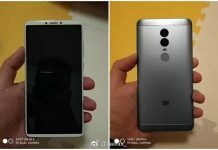 Xiaomi Mi 5X is another phone by Xiaomi. Some say it is the best buy from Xiaomi. Some aspects of the phone have been criticized too. 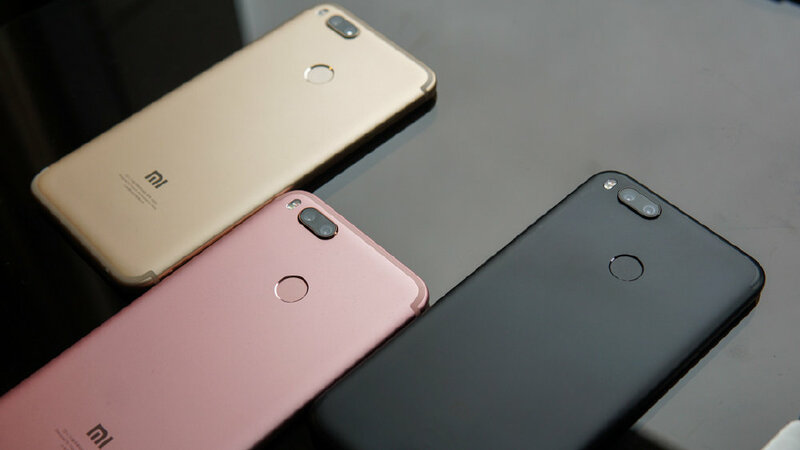 The hardware of Xiaomi Mi 5X is similar to that of Mi A1, which was the first Android One by Xiaomi. Let’s see if the phone is worth buying! The phone comes with a mid-range technical card and a proven and balanced hardware. The processor is Qualcomm Snapdragon 625, Adreno 506 GPU with 4GB of RAM and 64GB of expandable internal memory (giving up the second sim). There is a 3/32 GB version too but keeping in view the price difference, it is better to opt for the complete solution. The phone has a lot of good sensors such as a gyroscope, magnetometer, accelerometer, brightness sensor and proximity sensor. The phone also has infrared. The port is located at the top of the phone. On the back side, you will find an accurate and fast fingerprint reader. As far as connectivity is concerned, there an absence of bandwidth 20 for LTE frequencies. The WiFi (802.11 ac) is ok, and so are Bluetooth 4.2, GPS and FM Radio. Xiaomi Mi 5X is one of the best Chinese phones when it comes to connectivity stability, reception, and GPS. It is a dual sim phone. The sound quality of the headset capsule is good but the sound pressure in the speaker is not enough. 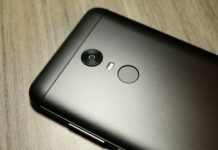 There are some phones with the same hardware that deliver better performance. This might be because of the heavy software, as it seems that it has not been optimized properly. Sometimes the Xiaomi Mi 5X slows down and even warms up sometimes. The phone works well most of the time, even with intense use. You may face problems when installing or launching more background apps. Maybe the phone needs a better RAM management. The measurements (155.4 x 75.8 x 7.3 mm) of the phone are not suitable for everyone. 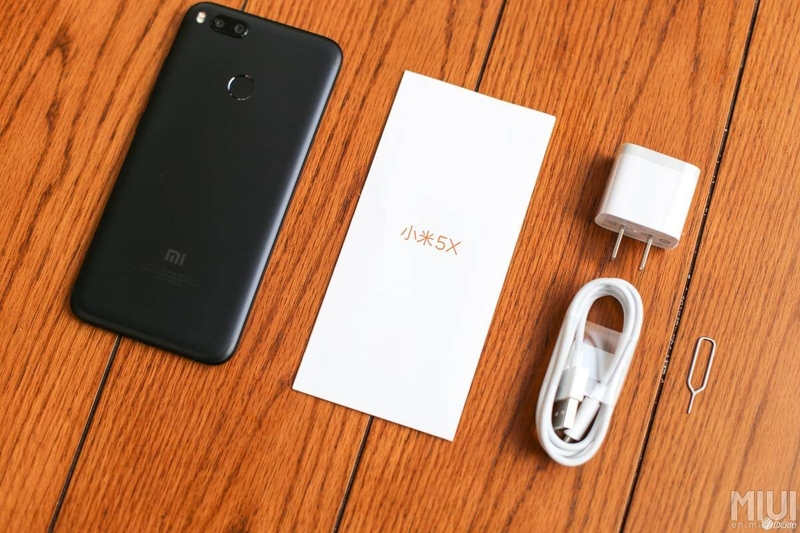 Xiaomi Mi 5X is a classic 5.5 phone without a particular optimization of the space on the front. The soft-touch backlit keys justify the large front frame and also allows the display to be fully exploited. The construction quality and materials are excellent. In the black version of the phone, the plastic antennas are almost invisible. The entire surface seems to be treated with extreme care. The design and the feel are similar to that of OnePlus 5. This means you the price/quality ratio is great. 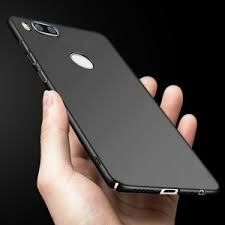 The back of the phone seems like satin aluminum. There is virtually no grip. The phone seems to slip out of your hand. 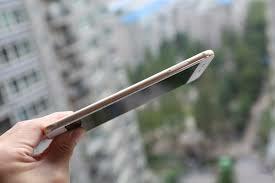 The display of the phone is a 5.5 inch LPS IPS with FullHD resolution. The screen is decent but other Xiaomi phones have done better in this regard. The colors are a little slack. The contrast ratio could have been better. The backlight is also limited. This shortcoming has let down the phone which boasts of a good hardware. That is not to say that the quality is poor. The quality is average. Xiaomi phones usually have a good display, so the display of Xiaomi Mi 5X is a disappointment. The audio compartment is fixed to a loudspeaker that positioned on the lower edge of the phone. Both the sound quality and sound pressure are average, not too high but sufficient. 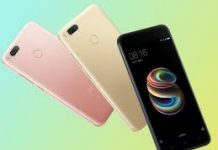 The phone comes with a 5-megapixel front camera and two 12-megapixel rear cameras with 26mm F / 2.2 and 50mm F / 2.6 optical optics. Both are optically unstable. The photos are of good quality, especially during the day when you get clear and detail images with both the cameras. The 2x cam is particularly suitable for macro and portrait, the main one is a lot better at night. The photos taking during the night time are a little disappointing. The zoom camera is poor. There is not a lot of spins. The other is ok but gives good performance only when the lighting is enough. Maybe all this is because of software. It needs to be refined. The frontal camera is sufficient but useless at night. The videos are good. There is almost no stabilization but the quality is convincing. The battery is 3080 mAh. Because of a good hardware, you get excellent performance. The battery can last you 5 hours if you use the phone constantly. 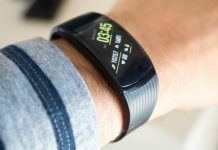 With moderate use, the battery can last a day and a half. With little use, the phone can even last for two days. The software installed on Xiaomi Mi 5X has affected the autonomy greatly. You can also install a verisone beta of MIUI 9 (arrives by default with MIUI 8.5). It gives you worse results than MIUI 8.5. The basic software installed on the phone is the Chinese / English version of the MIUI 8.5. You may install the first beta version of the already “westernized” MIUI 9 too. When it comes to software, Xiaomi phones don’t do so well. The software is initially available without Google services and preinstalled apps. Not having Google services is a problem not just for Google apps (such as Maps, Calendar, Gmail, Chrome, etc) but also for people who are dependent on auxiliary push notifications, such as Telegram, Whatsapp, and Facebook. You can try installing the apps manually. The result you get might not be satisfactory and the apps might not work properly sometimes. There are no push notifications. They are not kept locked in memory which results in energy expenditure. It is better to wait for Xiaomi to release the global version of the firmware and install it without any problems. You can also try unlocking the bootloader and install official ROMs. 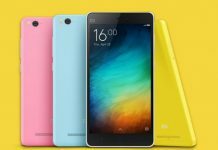 You can download global ROMs from Xiaomi’s website. This method is a little reckless. The Android is hight customizable. The advanced features do not lack anything. The privacy and the security aspect of the phone are good. A lot of things can be personalized in MIUI. You can customize the key features and also add or remove many small details of the UX. 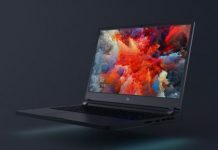 According to Xiaomi, graphics is an integral part of the UI. 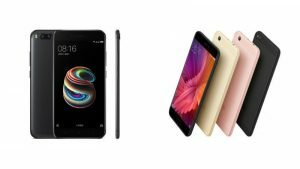 In the past, it took looked a lot like iOS, but now Xiaomi has its own, modern, and minimal styles. The basic tools, calculator, clock, calendar, notes, and file manager have all been perfectly integrated with system graphics. Xiaomi Mi 5X is available for 236 USD. 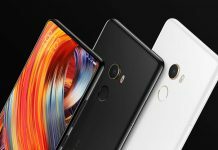 The phone has most of the good qualities of a typical Xiaomi phone. The technical/price ratio is great. The phone has a lot of positive aspects. 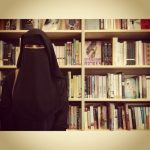 The only disappointments are the display and photographic qualities. The incompatibility with the 800 MHz band is also a letdown. 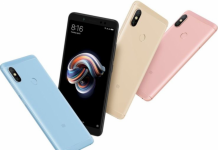 If you are very demanding when it comes to phones, this might not be the phone for you, if you are happy if the basic requirements are met, then this phone is not bad. The software, battery, price/quality ratio, and materials of the phone are all great. 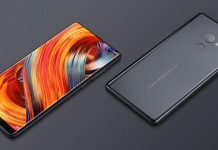 What do you think about Xiaomi Mi 5X? Yay or nay? Let us know in the comments below!